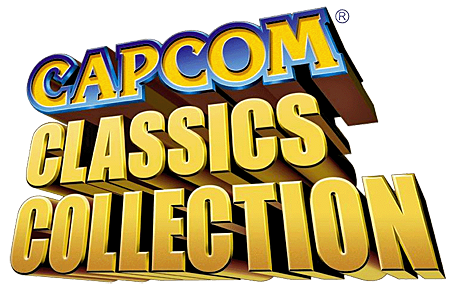 Capcom Classics Collection comes in two volumes (and a portable version on the PSP) and puts together a total of 42 Capcom arcade games on two discs. The fact that they are faithful arcade ports means if you played the game on the home consoles in years past then you’re in for a new experience for most of these games. Major highlights included are Street Fighter which is only available in the US in the second volume, every iteration of Street Fighter II, supremely awesome sidescrollers Final Fight, Captain Commando, Knights of the Round, and Magic Sword, as well as arcade staples 1942 and Mercs. Throw on added content like artwork, unlockable cheats, and game information and you’ve got a two games that are worth the price of admission for content alone. Nothing can recreate the frenzy of Mortal Kombat in the arcades back in the 90’s. When the first game came out it drew countless people to it’s cabinet in hopes of seeing someone’s spine get pulled off, or better yet see someone impaled by a bed of spikes. 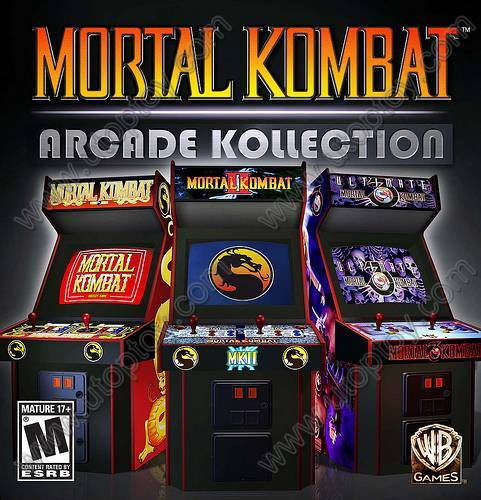 Mortal Kombat Arcade Kollection bundles up the first two arcade games (Mortal Kombat and Mortal Kombat II) as well as the third game’s revision, Ultimate Mortal Kombat 3. 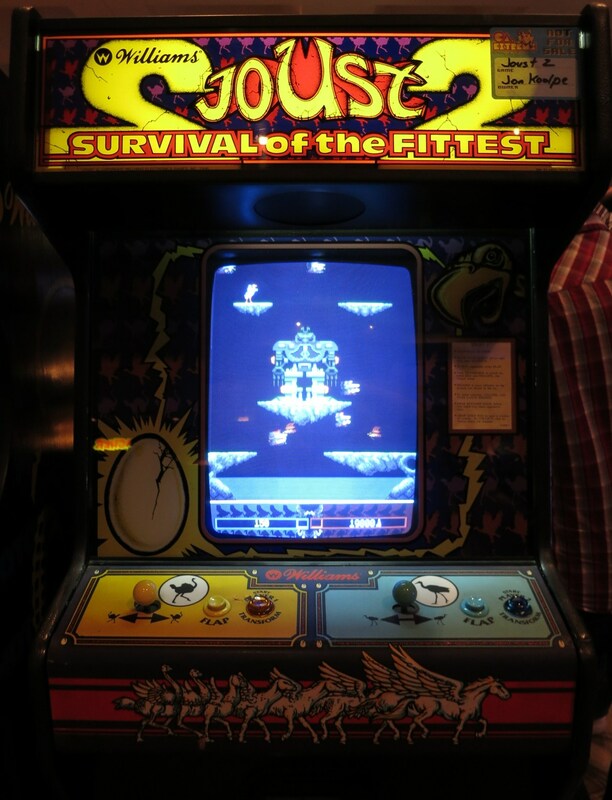 These arcade ports run smoothly and feature online multiplayer for each title, emulating as best it can the excitement of playing in the arcades. Reliving each gory fatality has never been better, and if this is your first foray into the series, the $10 price tag is all too inviting to pass by. 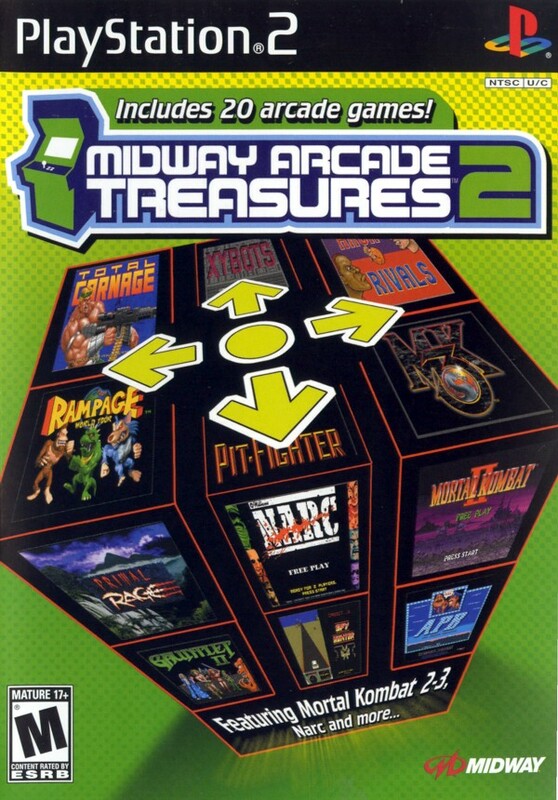 Another compilation that gives you a hell of a lot of bang for your buck, the Midway Arcade Treasures series puts together a boatload of classic Midway games. My personal favorites are Mortal Kombat II and 3, NARC, Total Carnage, Hydro Thunder, Root Beer Tapper, Gauntlet, Rampage, and Primal Rage. Only problem with these is that they’re aren’t ported well, with frequent sound drops, frame skips, and sometimes improper loads. They do, however, go in a generational sort of sequence, with the first collecting older 8-Bit games, the second collecting more mature and action packed games, and the third containing solely racing games. With most all of these games supporting one or two players, it’s sure to please for a few restless nights of retro gaming. Here’s the way to reintroduce gamers to a classic icon of games. 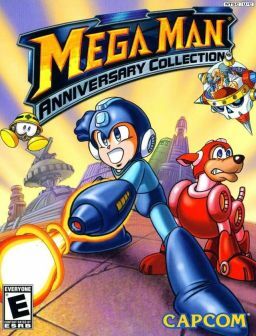 The first Mega Man Anniversary Collection includes Mega Man I through VIII, Mega Man X Collection includes Mega Man X 1 through 6, and Mega Man Zero Collection has Mega Man Zero 1 through 4. That’s a huge number of games in just three compilations, and yet there’s more. Included in the first game are fully playable arcade ports of Mega Man: The Power Battle and Mega Man 2: The Power Fighters, the arcade fighting games, and in the X collection is Mega Man: Battle & Chase, the racing game previously released only in Japan. On top of THAT you’ve got unlockable content like remixed music, interviews with the series creator, bonus artwork, and even more Mega Man goodies. Fans of the Blue Bomber owe it to themselves to relive these ones, and newbies should see where gaming started to take its roots. I couldn’t put just one of these on this list because, well, they aren’t that good to be here. But altogether they are decent. The SNK fighter compilations are packages that include many games from each series. They include The King of Fighters Collection: The Orochi Saga, Fatal Fury Battle Archives vol. 1 & 2, Art of Fighting Anthology, World Heroes Anthology, and Samurai Shodown Anthology (and to a lesser extent NeoGeo Battle Coliseum). Each title has the original game included as well as several sequels (with Battle Coliseum being a crossover brawler for the company much like Capcom’s Vs. series). The SNK fighters are all very unique in their concept, presentation, and artwork, but they never lived up to the hype brought on by the Street Fighter series and Capcom’s other fighters. But for a few bucks each, it’s worth checking out each of these titles to see what being second place in the fighting world was like. World Heroesis rather novel to me, because it collects combatants from across time to fight it out, including Joan of Arc and Jack the Ripper. Pretty sweet. Not only does Castlevania: The Dracula X Chronicles give US gamers the Rondo of Blood remake we’ve so desperately wanted, but it also packs in a faithful Sega Saturn port of Symphony of the Night for good measure. 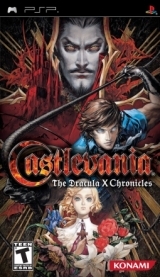 Castlevania fans will eat up the two games that are here because they are some of the best in the entire franchise. Not only that but they also offer incredibly replay value, with unlockable characters, modes, and boss rushes that extend the life of the game further. If you’re not acquainted with the demon-slaying series and you’ve got a PSP collecting dust, I highly recommend picking up this one and start cracking that whip. – Readily available to pick up today! – Support the title and encourage Capcom to make a damn sequel! Sega had some fantastic titles on the Genesis, not the least of which starred the fastest thing alive. 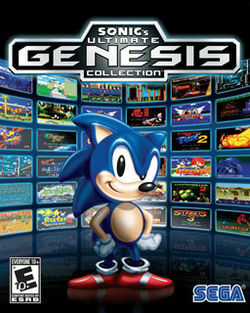 Sonic’s Ultimate Genesis Collection pulls together the first four Sonic titles, along with other “classics” like Comix Zone, Alex Kidd, Columns, all three Streets of Rage, all three Golden Axes, and both Vectorman games. And there’s more than tat on the disc as well: unlockable arcade games and special artwork/notes can be viewed for each title as well. Speaking just of quantity, this package is astounding, and better yet, there are plenty of quality games in this collection too. Well done Sonic, well done. Also worth mentioning here is Sonic’s solo compilation package, Sonic Mega Collection Plus for the PS2 which collects all of Sonic’s adventures on the Genesis and Game Gear. Awesome! – Ports are handled well, and include trophy/achievement support! 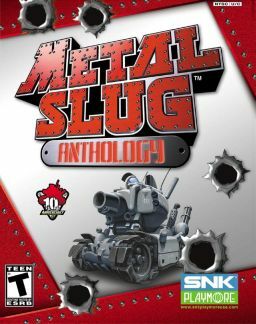 The Metal Slug series has been consistently awesome and yet consistently overshadowed for years. The run-and-gun action combined with the fast gameplay and beautiful art make for a great gaming experience. Metal Slug Anthology brings together the first seven Metal Slug titles (1 through 6 and X), which are still fun today. The added bonus of unlimited continues helps out here, as the games are incredibly difficult to complete. Bonus artwork can be unlocked by completed each game with certain restrictions, adding extra incentive for players. And there really isn’t a two-player shooter experience quite as sweet as Metal Slug. That’s 22 games featuring over 207 titles to play through. Love them or hate them, compilations do offer games a lot of content for a lower value. And if they games are done well like the ones listed above, then I say bring on the collections, anniversary specials, and remakes! I’m game. Love this post, man. There are so many compilations out there that it’s overwhelming when you want to actually get one. I have the Castlevania, Sonic and Metal Slug anthologies that you mentioned, and all are indeed fantastic. I’m going to keep an eye out for the Mega Man one — it will be great to have all of them in one place. Absolutely agree. 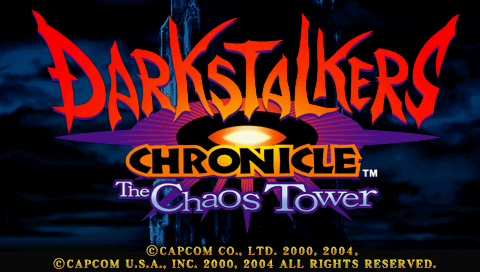 I’d recommend the PS2 version over the others, just because it feels the most natural to control. Either way, all fantastic titles.